We left the house at 9:00 am today to attend church in the Changamwe Branch of the LDS Church. After church we made a brief stop at the carving place called Akamba where the craftsmen carve the animals and figurines, this is the same place that carved the Grant Victor customer gifts of Elephants and Rhinos the last two years. These craftsmen use authentic carving tools like those used many years ago. 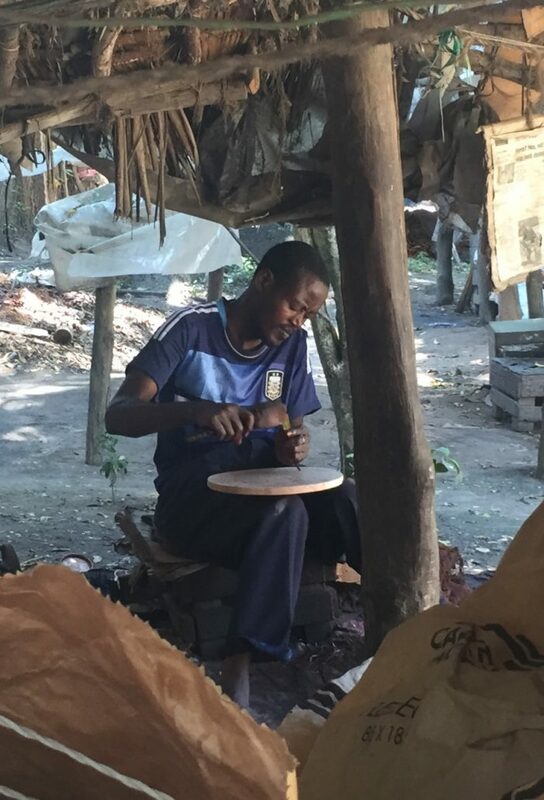 There is a Blacksmith in Akamba that makes tools for the workers. Due to heavy traffic during the week the tourist companies now bring people on Sunday’s so it was very busy. There was small shop selling cold Coca Cola, something we haven’t tasted for a few days. 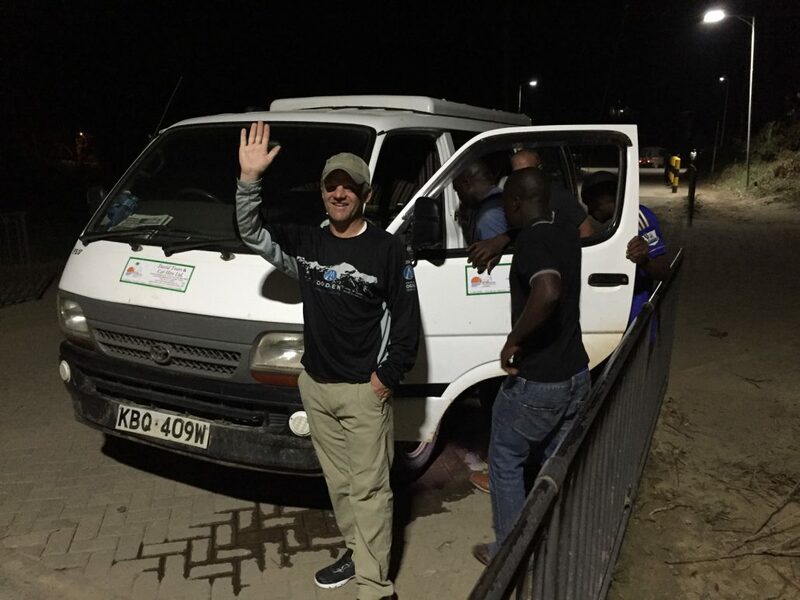 We had planned to head to a historic site on the other side of Mombasa but due to some activity near the police station that shut down many roads in the city, we had to change plans. We ate a very late lunch and then went to do some shopping at a grocery store to get food for our lunches for the next few days. We won’t return from the villages and schools during the days this week to eat lunch so PB&J’s are on the menu. The living conditions we have are not anything we were used to a few days ago but Trevor is setting the bar high as he and Buffalo will head to Mazeras to buy a mattress and then be dropped off in Kazameni to live for the next 36 hours interviewing and filming the life in the day of a family with kids that will go to the new school. Trevor and Buffalo will be sleeping in the mud hut with a Kazameni family. We have heard that they will even bring in the animals during the night (goats and chickens). We purchased enough food for Trevor to eat while living in the bush conditions. Our transportation from place to place is in two vans with drivers. Burt and Steve were asked if they’ve ever driven on the Mombasa roads. They said it is not something they would ever do. Even on a Sunday the traffic was crazy. On the way back tonight one of the vans broke down. We consider it a blessing it didn’t happen five minutes earlier in the Mazeras shopping district and intersection. With a little coordination we all made it back to the house safe. We hope the van troubles will be solved by morning. Buffalo, the construction foreman was given a gift of steel toed boots this week. The excitement on his face was priceless. As he talked about the boots he received he shared a comment that he received his first pair of shoes as a kid when he started the eighth grade. Tomorrow we head to Boyani to teach classes, do eye tests and hand out the solar lights to light up the village. Eric is going teach a few kids to juggle with the juggling balls we received from the Kona Pacific Public Charter School in Hawaii. Time for bed, we have big day tomorrow. 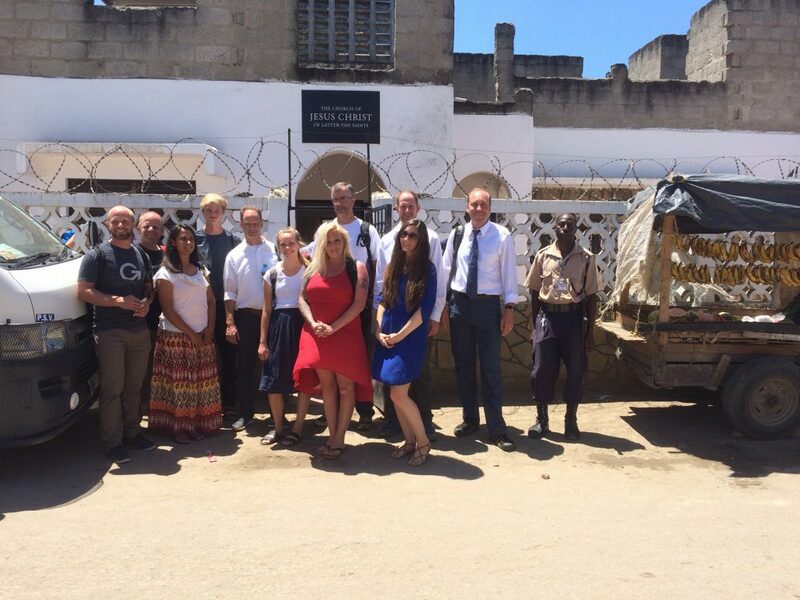 Would you like to help fund and furnish a school in a developing country? 100% of funds are used for school construction and supplies.